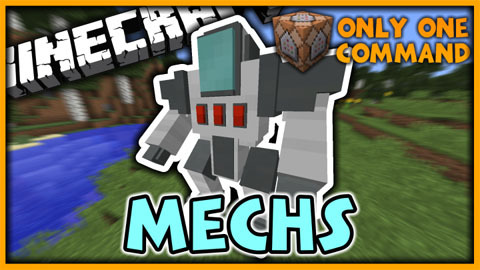 Mechs Command Block allows you to make your very own mech which has various abilities. You can drill out blocks, shoot missles, and self destruct. Create and use a Mech Battling robot in Minecraft with its own special abilities and items all with out needing a single Minecraft mod. Robots in Minecraft.